Looking for some fun things to do around the Midlands with the family? 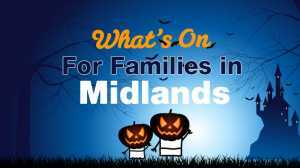 Read on – there’s some great things to do with kids in the Midlands this month. 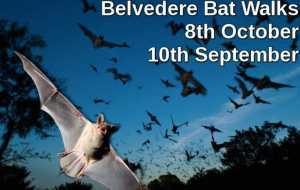 Take a Bat Walk at Belvedere House and Gardens on October 8th at 8pm. The walks are held in association with Bat Conservation Ireland. Space Week runs from October 3rd to 8th 2016. There are many events for both schools and families taking place. Check out the full line up here. The `OFFline Film Festival takes place in Birr, Co Offaly from October 12th to 16th. And will include a program for both primary and secondary school students. Maths Week Ireland takes place from October 15th to 23rd 2016. Schools can get on the map by submitting their activities to the www.mathsweek.ie and pick up ideas to engage all pupils. Ignite your family’s imagination at the 2016 Baboro International Arts Festival for Children. 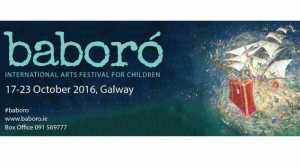 Happening at venues all over Galway from 17th – 23rd October. From beautifully animated features to drop in family fun there really is something for everyone. Belvedere House and Gardens will have a host of spooky and not so spooky Halloween events for families. 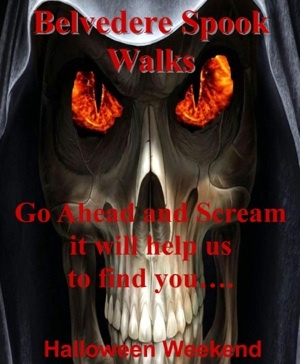 Including Halloween Treasure Hunts that take place on October 29th to 31st from 12pm to 2pm. Booking essential. Call 044 9349060 to book your place. Halloween Spooktacular is back at the Irish National Stud from October 29th to 31st 2016. Fun activities include a pumpkin treasure hunt, spooky storytelling, pony rides, face-painting and craft workshops. Discounts available for online bookings. Lullymore Heritage & Discovery Park, Kildare hosts its now infamous “Halloween Happenings” for SEVEN spooky days Saturday 29th October to 4th of November 2016 10am to 6pm daily. Take a journey through the spooky forest on the Rathwood Express, Carlow. The magical Land of Oz is being terrorised by the Wicked Witch of the West! On this ghoulishly, scary and very exciting adventure you will meet friends of Dorothy for fun, frolics and surprises along the way. Glendeer Pet Farm’s SPOOKTASTIC Halloween Event takes place Saturday 29th October – 6th November 2016, where kids can cast spells with a scary witch, toast marshmallows over an open fire, enter the eerie maze but be warned, it’s at your own risk. In Offaly, the Hullabaloo! Children’s Arts Festival returns from Nov 2nd to 5th. Enjoy a Spookfest at Huntington Castle, Co Carlow from October 27th to 31st 2016. Delta Sensory Gardens in Carlow will host a Halloween Festival on October 29th 2016 . New listings are added daily so visit the website for a full list of What’s On in your area. For more great ideas that cost nothing but time visit our articles on Free Things to Do in Laois, Westmeath, Kildare, Offaly and Longford. If you run events, classes or camps for families please list them with us. 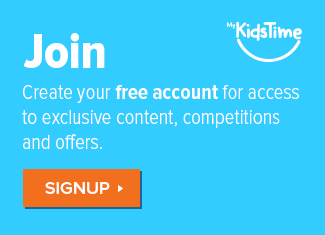 It is FREE TO LIST add events here and for class and camp providers you can list them here. Take a Bat Walk at Belvedere House and Gardens on September 10th at 8pm. The walks are held in association with Bat Conservation Ireland. The Athlone River and Food Festival takes place from September 9th to 11th 2016. With over 50 land and river based events taking place over the weekend, there will be something for everyone in the family to enjoy. The 2016 European Week of Sport and Physical Activity will be celebrated across Ireland from September 10th to 18th 2016. Open to everyone there will be local events running near you. 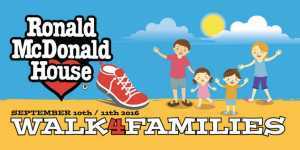 On the September 10th & 11th 2016, The Ronald McDonald House will be holding its annual #Walking4Families event to raise money to build a new 53 Bedroom Ronald McDonald House alongside the New National Children’s Hospital. Please support by joining your local event. Or text WALK to 50300 to Donate €4 if unable to attend. Sensational Kids invite you to dust off your fairy & elf wings and join them for The Enchanted Fairy & Elf Festival at Palmerstown House Estate, Co Kildare on September 11th 2016. Come along and meet the Fairy Queen, The Tooth Fairy and enjoy loads of magical family fun. A family friendly 5k run, Gallop for the Guide Dogs takes place at the Curragh, Co Kildare on September 18th 2016. Culture Night 2016 takes place on September 16th. From 5pm to 11pm arts and culture organisations will open their doors and offer entertainment and events for young and old. Find events near you. The annual National Ploughing Championships 2016 take place in Screggan, Tullamore, Co Offaly from September 20th to 22nd. The Irish National Stud in Kildare are providing complimentary Pony Rides & Face painting to all their younger visitors (upon admission). These take place every Wednesday and Sunday during July & August from 11am to 12.30pm and 2pm to 3.30pm. Visitors can also take the magical ‘Fairy Trail’ through the woods and enjoy the outdoor play area. Or visit the beautiful Japanese Gardens & St Fiachra’s Garden. Or see the six living legends, Beef of Salmon, Hurricane Fly, Hardy Eustace, Moscow Flyer, Rite of Passage and Kicking King grazing in their paddock while enjoying their retirement! In Co. Laois, the Durrow Scarecrow Festival, takes place from July 24th to August 1st 2016.This is a family fun event for young and old, with over 300 scarecrows to see around the village. Birr Vintage Week & Arts Festival runs from July 29th to August 5th 2016 with free entertainment for children including music, markets and fairs, arts and craft activities and more. Enjoy Drop In Art every Thursday from 12 noon to 3pm at Ardagh Heritage and Creativity Centre, Longford. Suitable for all ages from toddler up. An experienced Art Teacher is on hand for advice! In Stradbally, Co.Laois, the National Steam Rally celebrates its 52nd anniversary this year, from July 31st to August 1st 2016, with steam and vintage engines, a carnival, trade stands, steam threshing, steam train rides for the kids and plenty of family fun events. The Curragh Racecourse in association with Kleenland are hosting a Family Fun Day on August 7th 2016. All families will get FREE admission and can enjoy a variety of family friendly entertainment throughout the day. On August 20th Lough Boora Discovery Park in Co. Offaly have a fun family festival running in association with Bord Na Móna OurLand. Acts include Mundy, the Dublin Gaspel Choir and more artists with loads of other family entertainment, food, games and more. National Heritage Week 2016 has fun events for families and children nationwide from August 20th to 28th. All Island Whale Watch Day is on Sunday, August 23rd. Members of the public are invited to join the Irish Whale and Dolphin Group (IWDG) on one of 20 land-based whale watches being held at headlands around the Irish coast between 2:00-5:00 pm. Find your closest event. The Irish Game and Country Fair takes place at Birr Castle on August 27th & 28th 2016. It promises to be a weekend of action packed family entertainment wit jousting, a food festival, sporting events and a living history village. 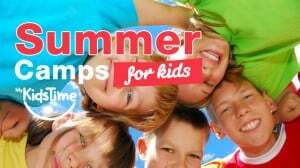 Check out our round up of the best Summer Camps on offer for Kids and Teens this Summer 2016. 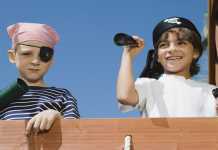 Belvedere House and Gardens plays host to Chapterhouse Theatre company on July 1st when they have an outdoor performance of JM Barrie’s Peter Pan. To celebrate the opening of the new Mini-Beast Hotel in Fairy Avenue, Bord na Móna is hosting a spectacular Fairy & Pixie Party at Lough Boora Discovery Park, Co Offaly on July 9th from 12.30pm. All funds raised on the day will go to Barretstown children’s charity. Brigit’s Garden Galway is hosting a weekend Sunrise Children’s Festival on July 23rd & 24th. with live music, arts & crafts, puppet shows, storytelling, food and fun guaranteed for all. Weekend ticket holders will get free on-site camping. Book Today. The annual Mullingar Agricultural Show takes place at the showgrounds in Culleen, Co Westmeath on July 10th and offers great entertainment for all ages. Gather friends and family together, pack a picnic and enjoy the magic of an outdoor theatre experience with Chapterhouse Theatre Company as they present Shakespeare’s romantic comedy A Midsummer Night’s Dream. The annual Leixlip Music Festival takes place over the June Bank Holiday weekend from June 3rd to 5th 2016. The All Ireland & All National Sheep Shearing & Woold Handling Championships will be held at Tullynally Castle, Co Westmeath on June 4th & 5th 2016. Alongside the championship, there will be a host of other activities for guests of all ages to enjoy. Scruffs Dog Show in Aid of and in Association with ISPCA will take place on Sunday 12th June 2016 at 1pm at Belvedere House. And on June 23rd, Chapter House Theatre Company return to perform an outdoor theatre show of Sense & Sensibility. and on July 1s they will perform Peter Pan. People are invited to pack their own picnics and enjoy the show with Lough Ennell as a backdrop. 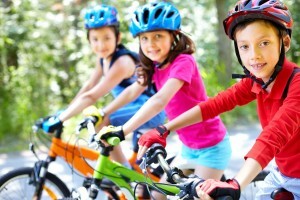 National Bike Week 2016 takes place from June 11th to 19th and there is a full calendar of family friendly events taking place. The Ballinalee Connemara Pony Show takes plan on June 12th in Aughnashannagh, Co Longford and offers a fun day out for families. The annual Big Toddle fundraiser for Barnardos is back.A number of family attractions around the country are holding Big Toddle events and are inviting Ireland’s youngest fundraisers (and their families!) to come along and take on the challenge to help children their own age. Open farms in Cork, Limerick, Dublin and Westmeath will be hosting the perfect family fun day out this June and July. Come along to tour the farm and meet the animals, enjoy the Big Toddle craft activities, and then limber up at the start line as you get ready to take part in the Big Toddle walk itself. Fishertown Trad Fest runs from June 24th to 26th in the grounds of Fishermans Thatched Inn, Laois. The Curragh plays host to The Dubai Duty Free Irish Derby on June 25th & 26th and families are invited to enjoy a special Family Fun Day on June 26th where there will be FREE entertainment for kids and U16’s accompanied by an adult, will receive FREE entry. Fishertown Trad Fest runs from June 24th to 26th 2016 in the grounds of Fishermans Thatched Inn, Laois. The 12th annual Drogheda Arts Festival takes place over the May Bank holiday weekend from April 28th to May 2nd 2016. The festival boasts an extensive family program including free events. The RTÉ All Ireland Drama Festival takes place in the Dean Crowe Theatre, Athlone from April 28th to May 6th with a Gala Night on May 7th. Book now to experience some of the countries finest Amateur Drama groups in action. The Darkness Into Light annual fundraising event for Pieta House takes place in venues across the city on May 7th. 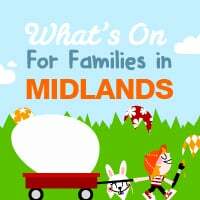 Check out the list for Midlands here and register to take part today. The annual Bealtaine May Bush Festival takes place on May 1st & 2nd in Rosemallis, Co Laois. There will be faceprinting, bouncy castles and music and entertainment on both days and everyone is invited to help by making decorations for the May Bush. Belvedere House in Westmeath has an educational & fun Bat Walk on May 7th at 8.30pm and on May 15th early birds can join in the 12th Annual Belvedere Dawn Chorus starting at 4am in association with Birdwatch Ireland. The Hill of Uisneach Bealtaine Fire Celebration takes place in Westmeath on May 6th to hearld the coming of Summer. Branar Children’s Theatre Company presents Maloney’s Dream (Brionglóid Maloney) on May 12th & 13th at The Riverbank Arts Centre, Kildare. The Tale of Ancient Lights is an award winning one man show inspired by Asian art, circus, magic, technology and dance. Suitable for children from 3rd class + it run at Birr Theatre & Arts Centre on May 23rd. Enjoy Drop In Art every Thursday from 12 noon to 3pm at Ardagh Heritage and Creativity Centre, Longford. Suitable for all ages from toddler up. An experienced Art Teacher is on hand for advice! And come along to time travel on May 21st with A Time Travelling Day Out to 1916 for all the family. Looking for family things to do in Ireland this Easter? 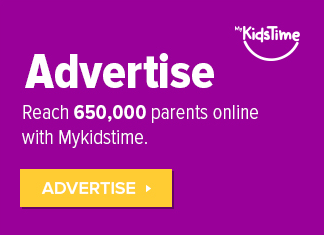 From Easter Camps to Egg Hunts and Easter Parades to 1916 Eater Rising Commemorations, we’ve got it covered, with the Mykidstime Guide to Things to Do with Kids Around Ireland Easter 2016. There are hundreds of events planned around the country to commemorate the 1916 Easter Rising. Check out what is happening near you this Easter and beyond. 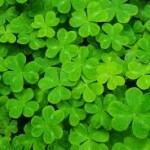 We’re loving the new TG4 series, Cleas Act, all about the Gaelscoileanna of Ireland, and the kids’ likes and dislikes. As well as chatting with presenters Eibhlín Ní Chonghaile and Stiofán Ó Fearaíl, the kids from each featured school get to sing, dance and tell jokes! Check out the show for your local school, Gaelscoil an Mhuilinn – (Mullingar) on March 6th and Gaelscoil na Lochanna (Blessington) on April 3rd. 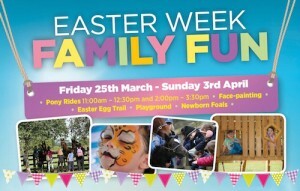 The Irish National Stud in Kildare have a fun Easter Week planned from March 25th to April 3rd. With pony rides, face paining and an Easter egg trail. Children can also visit the new baby foals and have fun in the playground. Gaelsocil Eoghain Ui Thuairisc, Carlow present The Pan Celtic Adventure of Robin Hood from March 31st to April 3rd 2016. Enjoy Rapunzel on April March 30th to April 2nd and The Magic Carpet on April 9th at the Dunamaise Arts Centre, Portlaoise. The PWC Players present Jack and the Beanstalk at Birr Theatre & Arts Centre on April 8th & 9th. Take a Guided Bat Walk at Belvedere House on April 15th in association with Bat Conservation Ireland and learn more about these fascinating creatures. The Longford Blueway Festival takes place on April 16th & 17th 2016 with a national canoeing championship, busking competition, family canal walks, street market, cycle of the new Blueway Route and taster canoeing sessions. Moonfish Theatre Kildare Library Services and Riverbank Arts Centre presents The Fantastical Time Travelling Library Bus on April 16th at Riverbank Arts Centre in Kildare. Other events that day include a Mega Story Doodle Workshop, Animaginations: Shorts for Wee Ones, Willy Wonka & the Chocolate Factory, Discover the World of Pop-uppertry! And on April 17th come along and take part in some fun Creative Writing Workshops. The Sensational Kids Special Educational Needs Conference and Expo takes place at Citywest Hotel on April 19th & 20th 2016. It is the ONLY dedicated, national even in Ireland catering for those working with and caring for children and adolescents with special educational needs. It aims to help parents, teachers and professionals support, educate and empower these young people though talks and Q&A sessions with leading experts such at Prof Tony Attwood. Get further information or book your place today. Tech Week 2016 runs from April 24th to 30th with events planned in all counties in Ireland. Check out what is on near you. 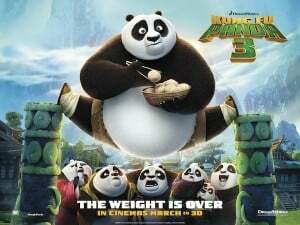 KUNG FU PANDA 3 arrives in cinemas Friday 11th March 2016. When Po’s long-lost panda father suddenly reappears, the reunited duo travels to a secret panda paradise to meet scores of hilarious new panda characters. But when the supernatural villain Kai begins to sweep across China defeating all the kung fu masters, Po must do the impossible, learn to train a village full of his fun-loving, clumsy brethren to become the ultimate band of Kung Fu Pandas! One of our Mykidstime Charities this year – The Ben & Jake Connolly Trust have some fundraising events running during February & March in Newbridge. On February 26th there is a bucket collection at local shops and businesses and on March 10th Karen Dillon & Friends are having a sponsored fast and will be looking for sponsorship. Any spare change you have would be greatly appreciated. And on March 18th at Christles Hair Salon, Laois, Siobhan and Isabelle Duff will be having their hair cut in aid of the Repunzel Foundation with proceeds raised going to the Irish Cancer Society and The Ben & Jake Connolly Trust. NPC are running an Internet Safety information session for Parents of Primary school children on February 29th in Offaly at The Court Hotel, Tullamore at 7.30pm Admission is FREE! Who Wants to Be a Super Hero? takes place in the Birr Theatre & Arts Centre as part of Engineers Week on March 3rd. Engineers Week takes place from February 28th to March 5th 2016 and there are a host of workshops and family friendly events taking place near you. Seachtain Na Gaeilge 2016 takes place from March 1st to 17th. With events running in every county in the Midlands to celebrate Irish language and culture. 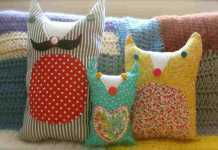 The Ardagh Heritage & Creative Centre in Longford have some fun family events this March including a Family Workshop on March 5th at 3pm, Annual Leprechaun & Fairy Hunt & Craft Fair on March 12th from 12pm and The White Rabbit’s Egg Hunt is on over the Easter Bank Holiday weekend at 3pm on March 26th, 27th & 28th 2016. Me Mollser is on at The Dunamaise Arts Centre, Portlaoise on March 4th, there is a screening of Amhrán na Mara (Song of the Sea) on March 11th and the original film of Willie Wonka and the Chocolate Factory will be screened on March 26th. ESB Tree Week takes place from March 6th to 13th 2016 and there are events running across the Midlands to celebrate. Belvedere House are celebrating National Tree Week with a guided Woodland Walk on March 5th and have St Patrick’s Day events on March 19th with some great entertainment for all the family and best of all tickets will be half price for everyone. 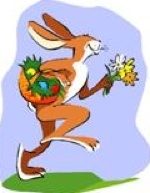 Easter Treasure Hunts are back on March 27th & 28th 2016. Birr Castle celebrate St Patrick’s Day with a fun trail to find the snakes St Patrick left behind on March 17th and on March 27th the race is on to find the hidden eggs in the annual Easter Egg Hunt. The Riverbank Arts Centre, Kildare have a great family line up for March including; Monday’s Child running on March 2nd, 20 Fingers On One Piano on March 5th, Electric Theatre! Explore Arduino Workshops for kids aged 9+ is on March 12th & 13th, Me Mollser is on March 15th and on March 18th take part in a Crazy Character Writing Workshop with Sarah Webb. Artrageous is a fun Jackson Pollock inspired Art Workshop for kids aged 2 to 5 years on March 19th, The Rising is on March 19th, Cinderella with Bosco is on March 20th and Easter Camps take place from March 21st to March 25th. 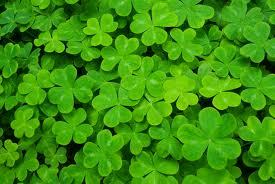 There will also be St Patrick’s Day Parades in Clara, Edenderry and Celbridge. The Mullingar St Patrick’s Day Parade begins at 3pm on March 17th 2016. Events will run from 2pm to 6pm with family fun for everyone. The 2016 Portlaoise St Patrick’s Day Parade begins at 12.30pm from County Hall Before the parade Portlaoise Athletic Club will host their annual street race from 11.30pm. Offaly 100 Together We Remember takes place on March 20th in Tullamore. It is an opportunity for all citizens of Offaly, and beyond, to come together to remember those from Offaly who fought for Irish Independence. Events include a ceremony of commemoration and candlelit walk from 5.45 to 6pm from the Courthouse, Tullamore followed by a FREE Centenary Concert from 7.30pm at the Church of the Assumption. Featuring Mundy, Donal Lunny, Simon Casey and many more musicians and choirs from across Offaly. 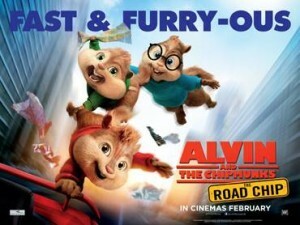 The Boys are back; Alvin & The Chipmunks The Road Chip is released in cinemas on February12th 2016. – Through a series of misunderstandings, Alvin, Simon and Theodore come to believe that Dave is going to propose to his new girlfriend in New York City…and dump them. They have three days to get to him and stop the proposal, saving themselves not only from losing Dave but possibly from gaining a terrible stepbrother. A must see family film! Enjoy racing on New Years Eve or come to the first race of the season which takes place at Punchestown Racecourse on January 9th. Smash & Grab Cinderella is at The Moat Theatre in Naas until January 9th. BYT are back at The Backstage Theatre Longford, with their new panto The Glass Slipper. It runs Jan 22nd to 30th with matinee and evening shows available. The big news for December is that Santa and his helpers will be at venues all over Ireland to see boys and girls to hear what they want for Christmas. 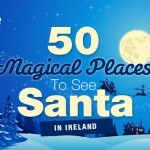 We have found 50 Magical Places to Visit Santa in Ireland this year. The Coca Cola Truck from their Christmas ad will be visiting cities around the Midlands during December. Treat your children to a magical Christmas experience with Green Santa at Belvedere House. 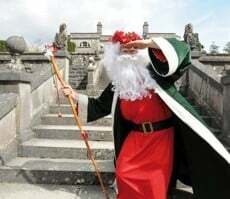 Green Santa will arrive by boat across Lough Ennell to Belvedere House at 11am on Saturday 5th December 2015. He will proceed to his magical grotto and will see children every weekend until December 20th. The Mullingar Christmas Market is on from December 11th to 13th 2015. 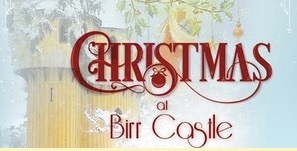 The Riverbank Arts Centre in Kildare has Family Christmas Shows galore this December. Santas House Express is on at Palmerstown House Estate, Johnstown from November 26th to December 23rd 2015. The Dunamaise Arts Center in Laois have a host of Family Christmas Shows on during December including Cinderella, Dancing Queen, The Gingerbread Man, The Wizard of Oz, The Muppets Chrsitmas Carol and A Hippo for Christmas. The Moat Theatre in Naas have some great Family Christmas Entertainment including Abba, Smash and Grab Cinderrella, Princess Adolia and Jack and the Beanstalk. The Lambert Puppet Theatre presents Snow White and the 7 Dwarfs on November 8th at the Moat Theatre. The RSA (Road Safety Authority) experts are running “Check It Fits” FREE Child Car Seat Checking Service Events in your area during October. Click here for dates and venues. October has been designated Polotober by Ireland Water Polo. This month you can try out water polo for free at clubs across the country. Find your nearest participating club. 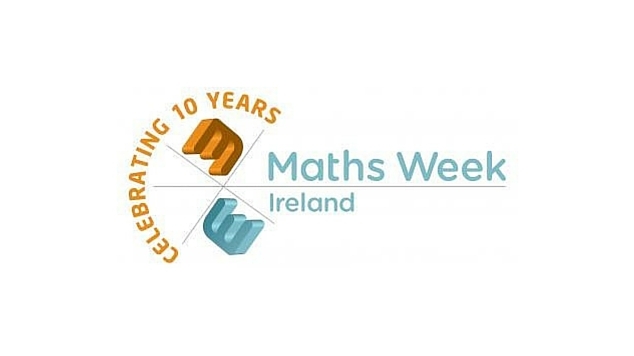 The 10th annual Maths Week Ireland takes place from October 10th to 18th 2015. Schools can get on the map by submitting their activities to the www.mathsweek.ie and pick up ideas to engage all pupils. Belvedere House and Gardens will have a host of spooky and not so spooky Halloween events for families from October 24th to 26th 2015. This year you will have to follow & solve the clues to complete the Halloween Treasure Hunt, collect prizes along the way from some colourful characters. Contestants who are young teens might well be able to complete the quest themselves – but teamwork is the name of the game and remember it won’t matter how quickly the hunt is completed! Don’t worry about the toddlers – bring them along too, because they won’t be left out and can be part of the family team and be thoroughly involved in the fun. They might even be able to solve some of the clues and will certainly get some treats as well. In Offaly, the Hullabaloo! Children’s Arts Festival returns to Birr Theatre this October, with workshops and live performances for all the family from October 29th to November 1st 2015. Scarfest is back at the Irish National Stud and runs from Thursday 29th – Saturday 31st October. 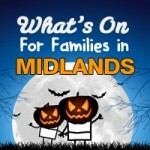 Lots of Pony Rides, Story Telling, Scary Facepainting and much more! Halloween Happenings is back at Lullymore Heritage & Discovery Park. Nine spooky days from October 24th to November 1st 2015. The Clanard Court Hotel are hosting a Hometown Concert on October 25th With events running over the October Bank Holiday Weekend, at the beginning of the Autumn/Halloween mid term break…do not miss this chance of seeing Louis Walsh’s latest no.1 selling boyband sensation! – Buy Tickets here! Birr Castle Haunted Woods and Castle Tours take place from October 23rd to 31st. Visit the Ghostly Gardens in the dead of night and hear spine chilling tales. Are you brave enough? It wouldn’t be Halloween without Jackula! The show is on at the Moat Theatre on October 25th. The Irish Game and Country Fair is on at Birr Castle on August 29th & 30th 2015. 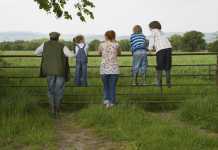 The fair focuses on family fun for everyone who lives, works or plays in the the Irish Countryside. 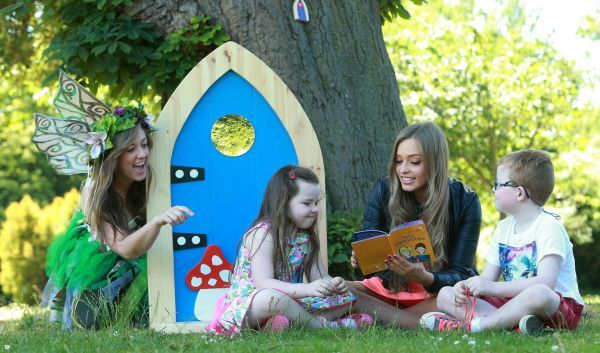 Sensational Kids are having an Enchanted Fairy & Elf Festival at the Irish National Stud & Gardens on September 5th. The day will be full of fairy magic and family fun. The inaugural European Week of Sport will be celebrated in 31 countries across Europe from 7-13 September 2015. It aims to promote sport and physical activity for everyone, regardless of age, background or fitness level. Inspiring Europeans to #BeActive on a regular basis and create opportunities in peoples’ everyday lives to exercise more. Find out what is on in your area. Octopus Kidz in Longford are running a fun Mask Making Workshop on September 12th. The Foiundation15 Arts Festival takes place in Tullamore from September 10th to 25th 2015 and has a great line up of events for young & old. Take a Bat Walk at Belvedere House and Gardens on September 12th at 8pm. The walks are held in association with Bat Conservation Ireland. Offaly Tourism is creating a new website and is looking for Men, Women and Young Children to take part in a photo shoot on September 16th. Please contact them on 057 93468000 or email: [email protected] if you are interested in finding out more. On September 17th you are invited to attend St Patrick’s College, Celbridge for a free training on combating Social Networking & Cyberbullying. Culture Night 2015 takes place on September 18th. From 5pm to 11pm arts and culture organisations will open their doors and offer entertainment and events for young and old. Find events near you. Birr Vintage Week & Arts Festival runs from July 31st to August 7th 2015 with free entertainment for children including music, markets and fairs, arts and craft activities and more. 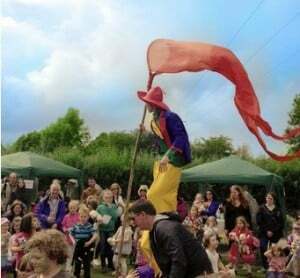 In Co. Laois, the Durrow Scarecrow Festival, (July 26th – August 3rd), is a family fun event for young and old, with over 300 scarecrows to see around the village. In Stradbally, Co.Laois, the National Steam Rally celebrates its 50th anniversary this year, from 2nd – 3rd August, with steam and vintage engines, a carnival, trade stands, steam threshing, steam train rides for the kids and plenty of family fun events. We have rounded up some of the fun events and activities happening in the arts and culture space during August. Whizzkids Discover IT Summer Camps. The Irish National Stud are providing complimentary Pony Rides & Face painting to all their younger visitors (upon admission). These take place every Wednesday and Sunday during July & August. It’s the Kids turn to take the Adults for a Day Out! Families Go Free* on Sunday the 9th of August for the Keeneland Family Race Day at The Curragh Racecourse. The feature race is the Keeneland Phoenix Stakes, the first European two year old Group 1 race of 2015. A clash between some of the best colts and fillies around. While the adults are cheering the winner’s home, the children can enjoy the FREE Keeneland Kids Zone featuring bouncy castles, face painters, arts and craft workshops and a chance to meet famous cartoon characters. For race day information visit www.curragh.ie For more information on Keeneland visit www.keeneland.com *Adult admission is free once they are accompanied by a child 16 years or under. This year’s IFI Family Festival will tour some of the films, with a tailor-made shorts programme, and a workshop to three regional venues for the first time! The films are Fiddlesticks (Quatsch und die Nasenbarbande) and The Legend of Longwood, a selection of short films in our Short Tales programme, and an Adventure Venture workshop. Will be at Riverbank Arts Centre, Newbridge, Kildare on August 22 & 23. National Heritage Week 2015 has fun events for families and children nationwide from August 22nd to 30th. 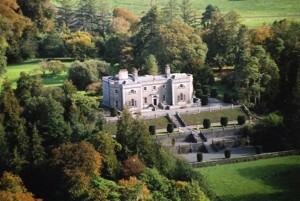 As part of the Heritage Week Events at Belvedere House & Gardens, Westmeath they have a Guided Walk & Talk taking place daily at 2pm between 22nd-30th August (Tour lasts approx 1.5 hours) Hear of the rich tapestry of Upstairs Downstairs life of a Georgian estate as Belvedere’s guides bring you on a journey through the life of the Wicked Earl & Mary Molesworth (imprisoned for 31 years) with some horrible histories thrown in! Secrets of Offaly are looking for people, in front and behind the camera, to take part in Silent Journeys on August 23rd. It is a silent film project taking place in Kinnitty Castle to celebrate Rex Ingram. Contact [email protected]m to take part. 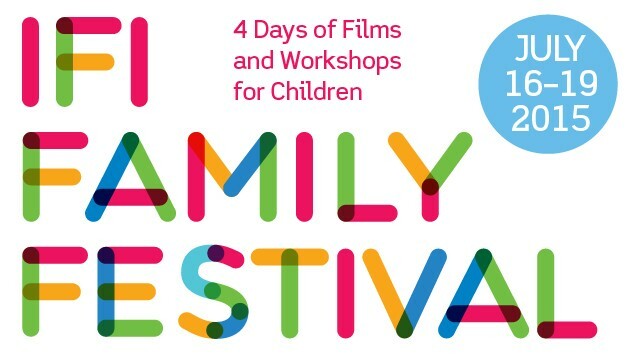 This year’s IFI Family Festival will tour some of the films, with a tailor-made shorts programme, and a workshop to three regional venues for the first time! The films are Fiddlesticks (Quatsch und die Nasenbarbande) and The Legend of Longwood, a selection of short films in our Short Tales programme, and an Adventure Venture workshop. The Festival will be at Dunamaise Arts Centre, Portlaoise July 24 & 25. Party in Bord na Móna’s Lough Boora Discovery Park, Boora, Co Offaly. Taking place on Saturday 25th July from 12 – 5pm with fun and games for the whole family and Fundraising activities for Barretstown throughout the day. 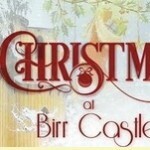 Registration for FREE tickets is essential at www.loughboora.com/events/fairy-door-tea-party. 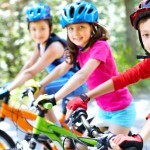 National Bike Week runs from 13-21 June with lots of family-friendly cycling events around the Midlands including Royal Canal Family Cycle and Midsummer Cycles. You can search all the Bike Week events by county here. 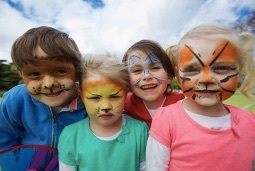 Maxi Zoo will celebrate the opening of the 17th Irish Maxi Zoo Store in Newbridge, Co Kildare, with a Family Fun Day on Sunday, June 14th from 12 p.m. to 4 p.m. where families can enjoy face-painting and a visit by ‘Dave’s Jungle’. The free fun event will give children of all ages the opportunity to learn more about and to get close to giant snakes, tarantulas, iguanas and millipedes. Maxi Zoo mascots Max the Dog and Izoo the Cat will also attend. Support Join Our Boys on June 14th by running in the Drum 6K Run in conjunction with Ardkeenan National School. The race starts from Drum Parish Hall, Westmeath at 2pm. The Annual Life Festival takes place at Belvedere House, Westmeath from May 29th to June 1st. And to celebrate National Biodiversity Week, take a guided walk with Diarmuid McAree on June 6th at 2pm. On June 7th enjoy Scruffs Dog Show at Belvedere House in association with the ISPCA. Midlands Flightfest takes place in Longford from May 30th to June 1st. With plenty of family fun and exciting aerobatic stunts join in the action at Abbeyshurle Aerodrome. Puss In Boots is on at the Dunamaise Arts Centre in Laois on June 4th. And on June 13th they will be showing the Disney classic Pinnochio. On June 21st they present The Way Back Home and on June 28th Paddington. Brick Flicks presents a Brick Flicks Taster Camp on June 20th at The Solstice Arts Centre Navan. Riverbank Arts Centre in Kildare presents The Way Back Home on June 20th. The Moat Theatre in Naas presents Goldilocks and the Three Bears on June 21st. Fishertown Trad Fest runs from June 26th to 28th in the grounds of Fishermans Thatched Inn, Laois. Support Join Our Boys Charity, the Mykidstime Charity for 2015, by taking part in a Monster Table Quiz & Clann’s Got Talent at The Athlone Springs Hotel, Westmeath on May 31st. Riverbank Arts Centre have events running over the May Bank Holiday Weekend including Cinema, Workshops and Exhibitions. It’s the AES Bord na Móna Family Day at Punchestown Festival on May 2nd. 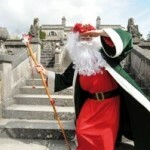 Kilkenny Medieval Week runs from April17th to 26th. Rolling back the years, children and families can take part in Medieval Craft and Food Workshops, fun Storytelling and Puppet Shows. Celbridge Library have a Frist Aid for Parents class on April 14th. 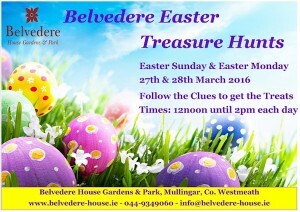 Belvedere House and Gardens host their annual Easter Treasure Hunt on Easter Sunday and Easter Monday, April 5th and 6th. 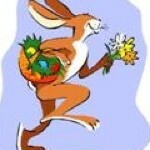 The Easter Bunny will be on hand to help you solve clues to complete the Easter Treasure Hunt and collect your prizes! You can book your Easter Hunt ticket here. Birr Theatre have a Brick Flicks Stop Motion Workshop on March 28th. Bring along your favourite Lego figure and watch it come to life! Complimentary Pony Rides & Face Painting on admission. These will take place in the Kildare Yard from 11am to 12.30pm and from 2pm to 3.30pm. Daily Nature Trail at 2pm which will take approx 40 mins to complete. Visit the 100+ new born foals. More arriving daily! Hop along to Lough Boora Discovery Park this Easter Saturday for the ultimate Bord Na Móna family event. the Boora Bunny Egg Hunt. Ardagh Heritage and Creativity Centre have Easter activities including for all the family including The White Rabbit Egg Hunt on April 4th, 5th and 6th. The Luan Gallery in Westmeath are running a fun creative Easter Camp for kids aged 6+. The camps run daily from April 7th to 11th. 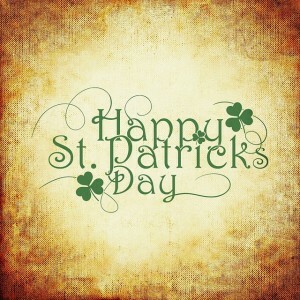 To celebrate St Patrick’s Belvedere House have a host of fun activities and events on Sunday March 15th and have half price admission for everyone. Events take place from 2pm to 4pm at the Belvedere Visitor Center an afterwards you can enjoy the gardens and house. The Mullingar St Patrick’s Day Parade begins at 3pm on March 17th 2015. Events will run from 2pm to 6pm with family fun for everyone. The 2015 Portlaoise St Patrick’s Day Parade begins at 12.30pm from County Hall Before the parade Portlaoise Athletic Club will host their annual street race from 11.30pm. Engineers Week takes place from February 8th to 14th. There are events in Kildare, Offaly, Laois, Westmeath and Longford for families, many of which are FREE but need to be pre-booked. Trad on the Prom takes place at The Hodson Bay Hotel in Athlone on February 14th. The Birr Stages Rally takes place on February 22nd. The first race of the season takes place at Punchestown Racecourse on January 10th. Panto Club presents A Peter Pan Tale on Jan 29th – 31st at The Moat Theatre in Naas. The Riverbank Arts Centre have shows and films for families and children running this January including Cinderella and the Lambert Puppet Theatre present Snow White and Bosco. BYT are back at The Backstage Theatre Longford, with their new panto Robin Hood. It runs Jan 23rd, 25th, 25th, 29th and 30th with matinee and evening shows available. If you didn’t make it to the cinema over the Christmas, there are some great family films showing this month at the Odeon Portloaise, IMC Tullamore, Omniplex Longford, IMC Mullingar, IMC Athlone. Odeon Nass, Odeon Newbridge, We saw Paddington (read our review) and Annie recently both great and for older children the final Hobbit movie was a big hit. Operation Transformation are running walks around the country on January 17th. 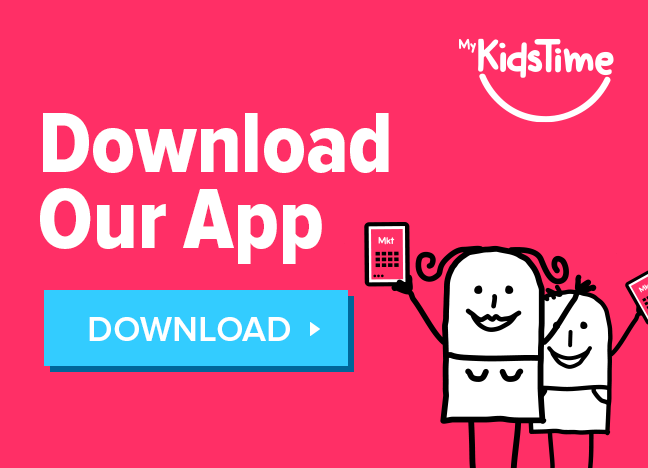 Find one near you and get the whole family off the sofa and out in the fresh air!